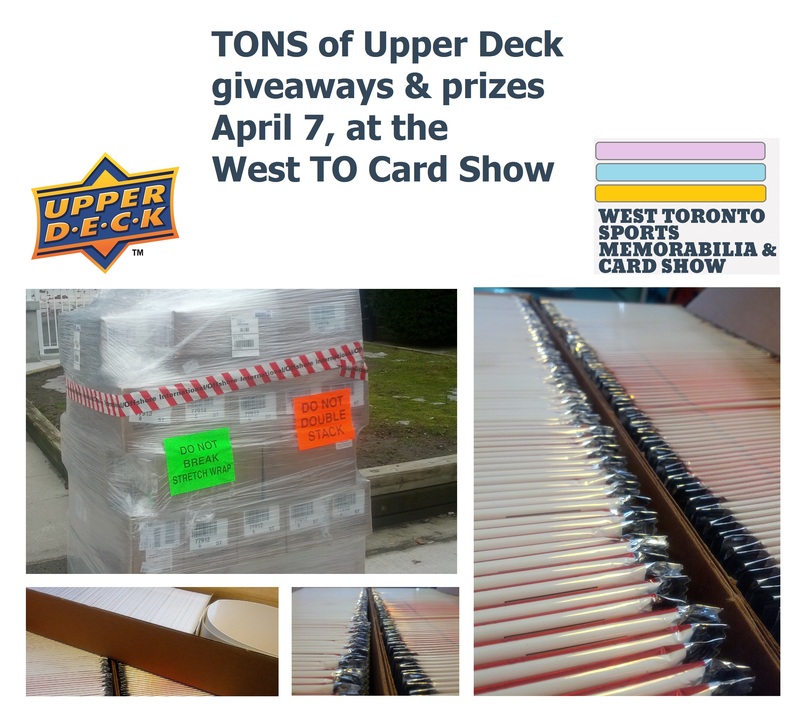 We alluded to it on Twitter last week, and the rumours are true: we have some incredible prizes to give away at our April 7 show, thanks to our good friends at Upper Deck! Get ready, Toronto, we’re going to have some INSANE giveaways and draws! Draws for 25+ packs at a time! Every kid leaves with a fresh packs! Even a chance at finding an autograph! We sold out our last two shows, and we’re super-excited for this one on April 7! This entry was tagged action figures, antique items, baseball cards, call for vendors, card show, cards, collectibles, comics, end the lockout, figures, Free Parking Sports Show, freebies, game-used, giveaways, hockey cards, hollywood, hotwheels, jerseys, Lake Shore Blvd. Sports, Long Branch Legion, memorabilia, nostalgia, posters, relics, Sport Collectibles, sports, sports cards, sutographs, T-Dot card show, table rentals, TO, toronto baseball cards, toronto card show, toronto hockey cards, Toronto Legion, Toronto Maple Leafs Collectibles, Toronto Memorabilia, toronto show, toronto sports cards, Upper Deck, Upper Deck Hockey, vendor table toronto, west toronto, West Toronto Sports Memorabilia & Card Show. Bookmark the permalink.